A new study appears to connect toxic air at the World Trade Center site following 9-11 to cases of cancer in New York City firefighters who searched for survivors. The study, published in the medical journal Lancet, by Dr. David Prezant, chief medical officer with the New York Fire Department, was conducted on more than 10,000 firefighters over seven years. The study differentiated between those who were exposed to the World Trade Center site after 9-11 and those who were not. Firefighters with cancer are hoping this new research will help bring them much-needed financial support. Currently, the controversial Zadroga Bill, passed in Congress in 2010, set aside $4.3 billion dollars to treat and compensate first responders for a variety of ailments, from asthma to chronic respiratory illness -- but not cancer. 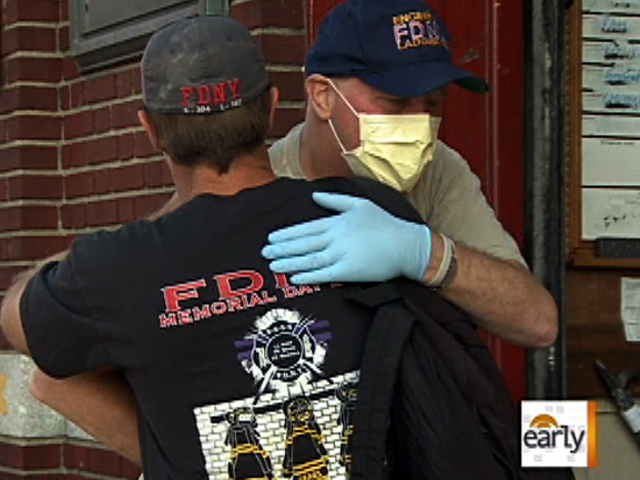 On "The Early Show," co-anchor Jeff Glor told one first responder's story and his fight for survival - and support. Click on the video above for Glor's report.